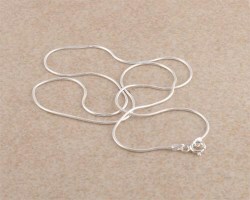 Sterling silver snake chain crafted in highly polished sterling silver, available in 16", 18" and 20" lengths only. 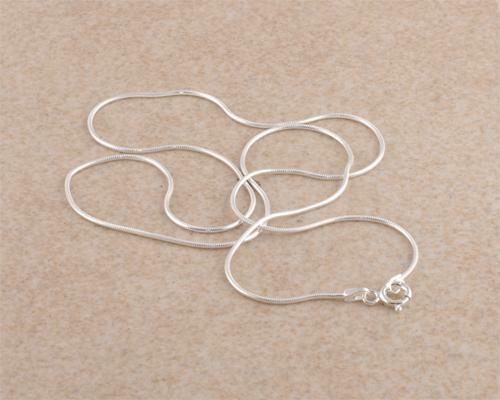 This fine one millimetre snake chain is perfect for use with any small to medium sized pendant. Crafted in Italy, it's incredible value for money but we only have a small number left available. Once stocks have been depleted this item will no longer be available. Please state at checkout whether you'd like a 16", 18" or 20" silver snake chain.